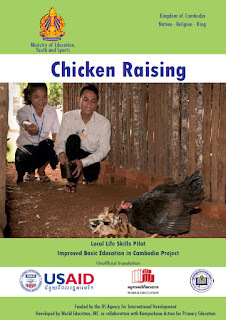 Chicken raising is practiced in Cambodia since a long time, but generally chickens are raised only for family consumption. Those chicken raisers were not able to sell a lot of chickens to support their livelihood. In many families, chicken raising has lacked attention to keeping good hygiene at the raising site, the selection of races, vaccination and treatment. In this regards, the Committee for Production and Veterinary Development has prepared the Document on Chicken Raising which aims to promote a successful and professional chicken raising. 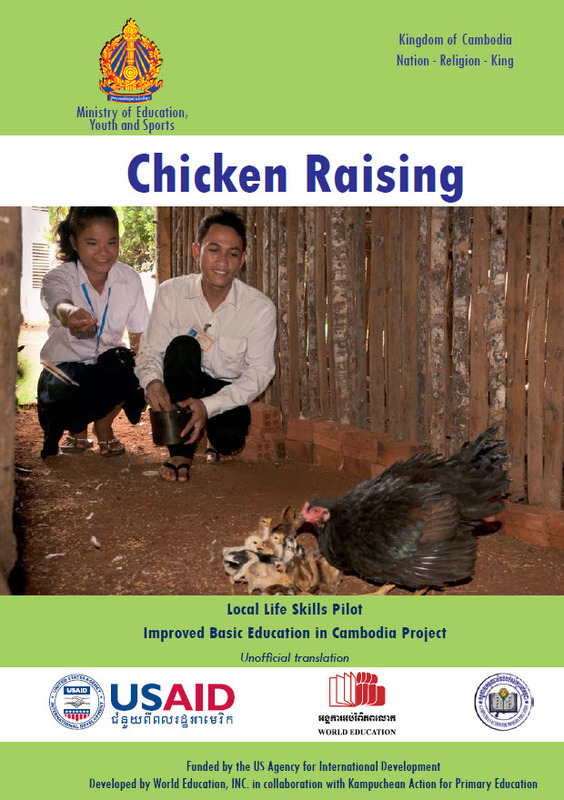 This documents has been used to develop the IBEC Life Skills manual The Document on Chicken Raising aims to help the girls and boys who attend school to gain knowledge and experiences in simple life skill relating to chicken raising. Raising chickens can play a very important role in our family productions. Studying how to raise chickens from a young age links to the demand, priority and wishes and this can evade people from unemployment and lack of understanding of the agricultural productions. We hope that the youth at present will have an idea of planning, budgeting, preparing of materials and practice to raise chickens in accordance with the key stages so that this job can improve their family’s living condition.